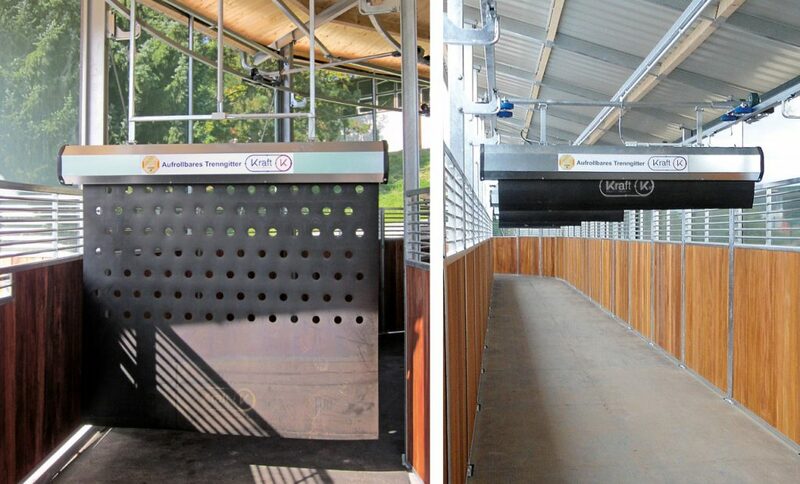 Hanging/rotating gates motivate horses to walk, provide direction as well as speed. 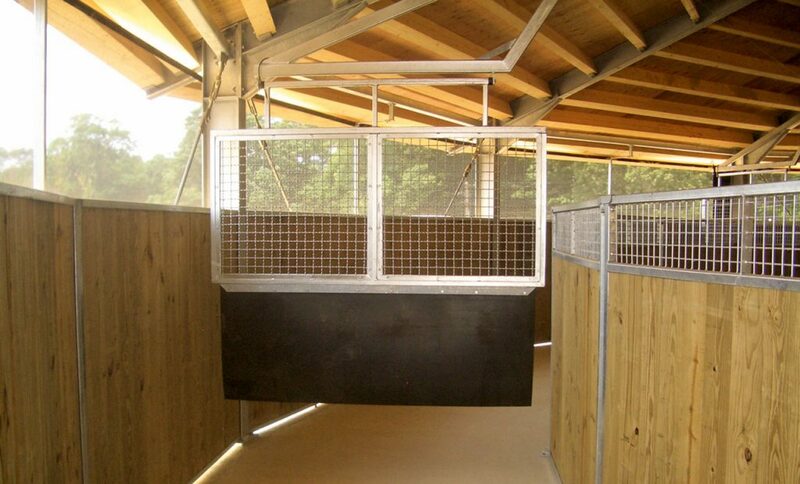 They are designed with the utmost safety standards and offer horses a sufficient range of motion. 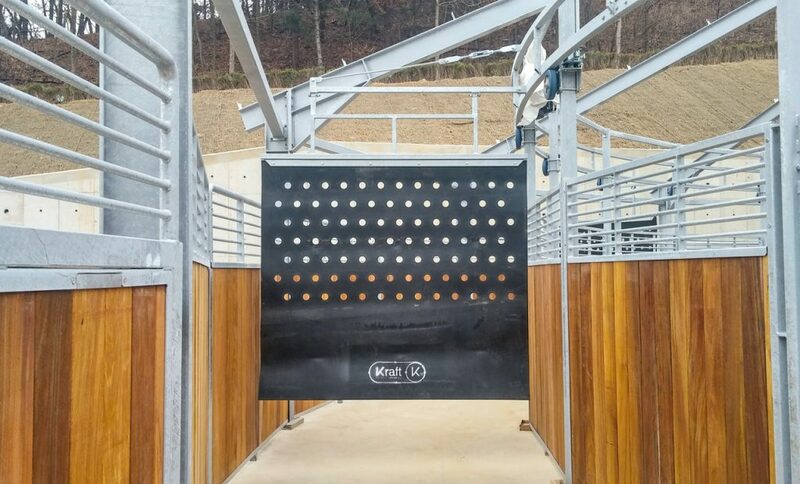 The hanging/ rotating gates are hung at a height of 2.3 m (7.5′) and are 2.2 m (7′) wide. KRAFT recommends a minimum distance of 7 m (23′) between the gates. The number of partitions depends on the size of the horse walker.